Order in next 13 hours and 36 minutes for despatch today. 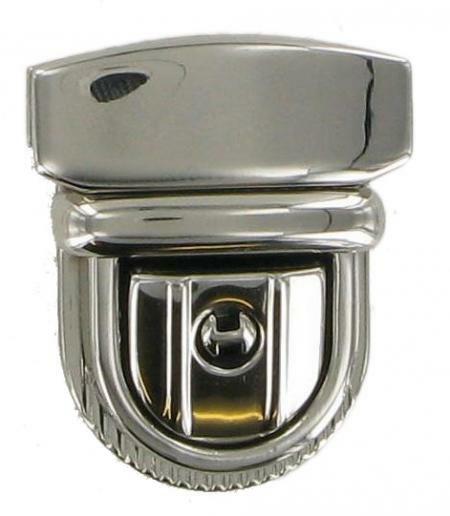 Lockable Tucktite Fastener in Polished Chrome. This lockable tucktite fastener suits many bags and briefcases. It is available in high polished chrome only as shown. The female part measures 27mm x 35mm. The male section is fixed onto the flap of your bag with two grub screws. The female section is secured via two malleable spikes which fold down and clench this section to the main panel of the bag.